Discussion in 'News & Announcements' started by ItsAZZA, Mar 31, 2019. This is probably one of the most extensive feature yet on Polarbear plugin, totaling with almost 500 lines of code. 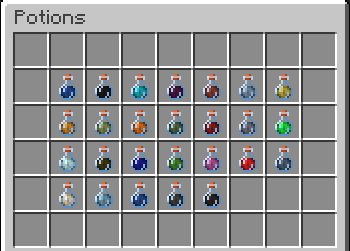 Potion menu gives you an easy access to almost all the Minecraft potion effects and it lets you control the effects (duration and power). This also adds the possibility for infinite potion effects which are reapplied on occasions that may have reset the effect before. How annoying it can be to dye leather armor! 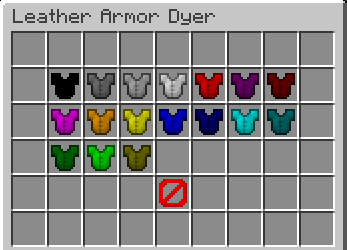 But not anymore, because we've added a custom leather armor dyer command. While holding a piece of leather armor, you can do /dye <color> to dye the armor to a certain color. The command uses hexadecimal values (e.g. #ffeeff). You might want to use something like Adobe Color Wheel for picking colors: https://color.adobe.com On Realms, you can also run /dye, which will open a menu where you can select a pre-selected color and the plugin will give you a full set of armor. You can check rest of the updates on our Discord. for a second I read this as "Mecha Update"